We love pizza at our house! 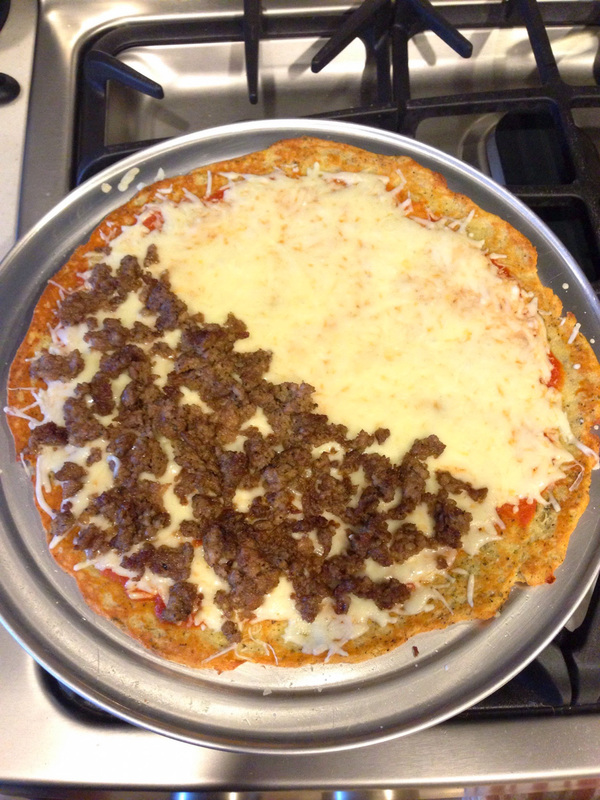 Tonight we tried this recipe out for a low carb option and it was delicious! It most defiantly is an option for us when we want pizza but do not want to eat all those carbs! We made 2 pizzas, one pepperoni and sausage pizza and another pizza that was half sausage and half cheese. The kids loved it and so did we! Pepperoni’s or cooked sausage or any thing else! 2. Measure 2 cups of mozzarella cheese and put in a microwave safe bowl and melt (this took about 90 seconds for me) you want the cheese pliable. 3. Add 3 tablespoons of cream cheese and egg and mix together well. 4. Add 3/4 cup of Almond Flour, 1 tablespoon of psyllium husk powder, 1/2 tsp slat and 1/2 tsp of pepper to the cheese mixture. 5. Pick the dough up and knead till the dough and ingredients are mixed well together. 6. Spray a pizza pan with olive oil and place dough ball on the pan. Spread the dough out pressing outward forming your pizza crust. 7. 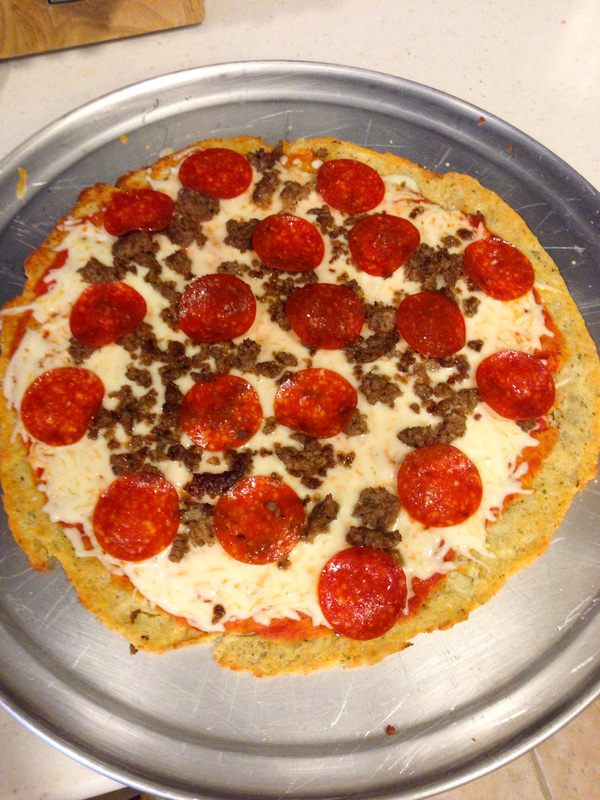 Bake the pizza for 10 minutes then flip the crust over and bake for another 2-3 minutes. 8. Remove the pizza and add sauce, cheese and toppings. 9. Bake again for 3-5 minutes or until cheese is melted.